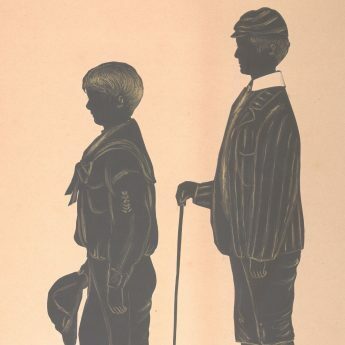 Home / Collections / Boys will be Boys! 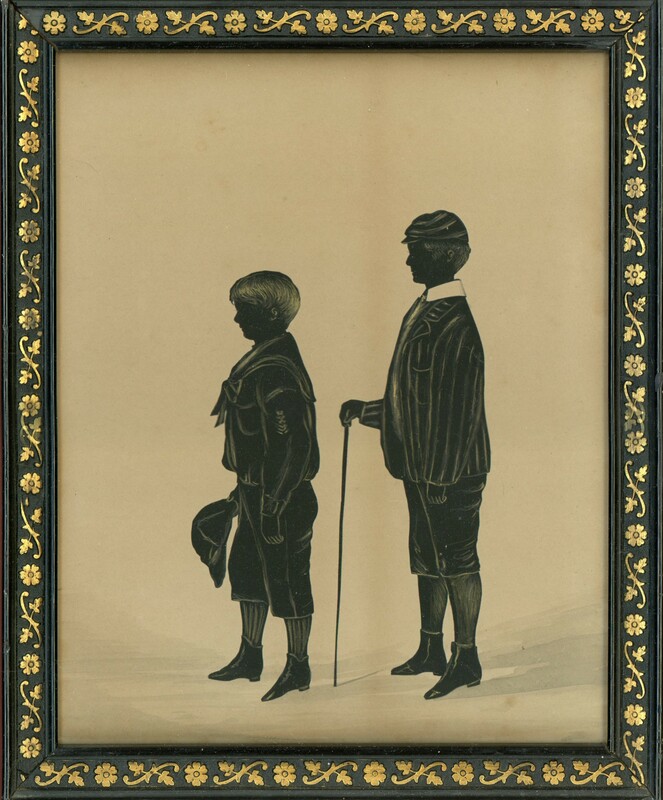 This cut and gilded silhouette includes a wealth of costume detailing and shows two teenage boys, probably brothers. 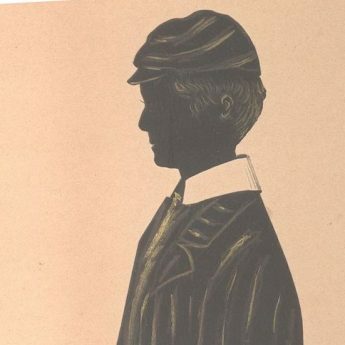 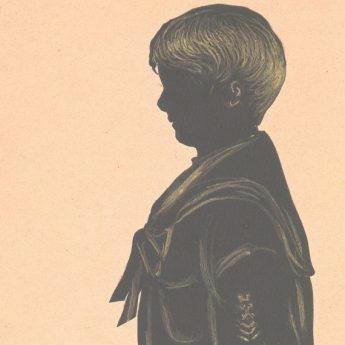 The oldest boy is holding a cane and is stylishly attired in a striped blazer, knickerbockers, ankle boots and a peaked cap. 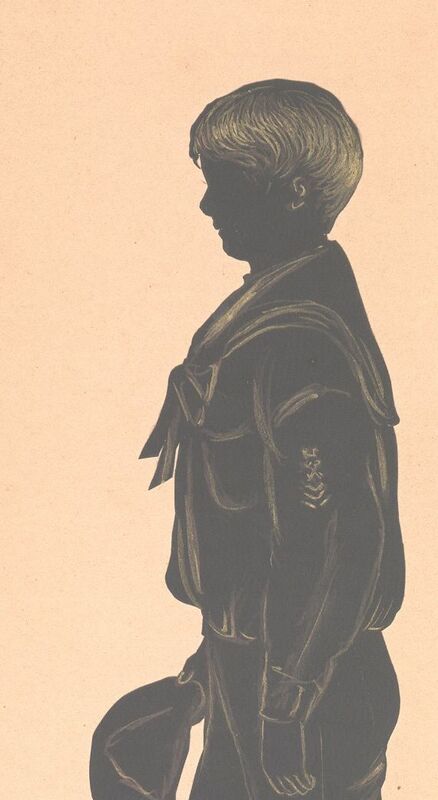 The younger lad meanwhile is wearing a sailor suit complete with neck-tie and stripes on the sleeve. 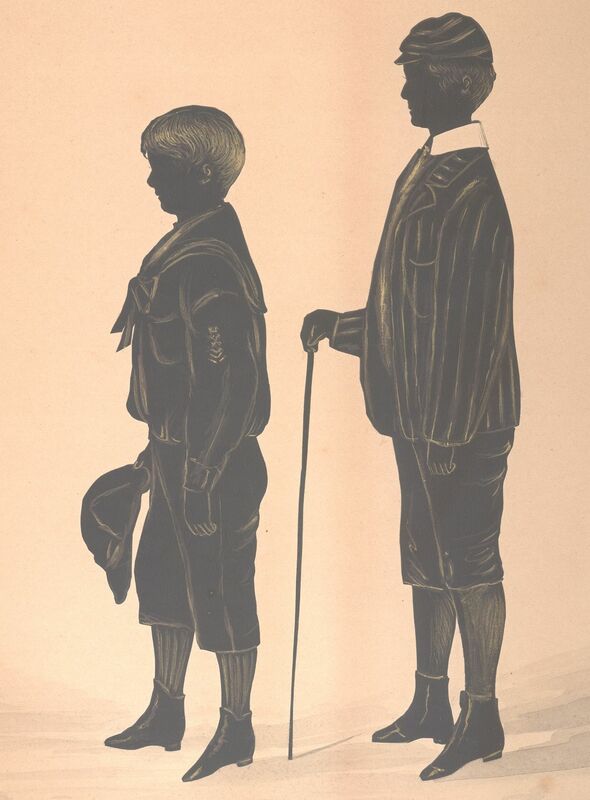 Sailor suits for boys were made popular in 1846 by the four-year Prince of Wales who wore one whilst accompanying his parents on a cruise off the Channel Islands. 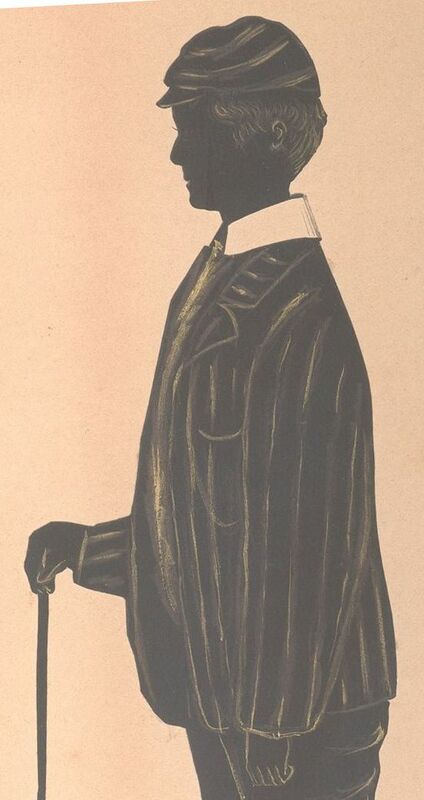 The image was further popularised by Winterhalter’s famous portrait of the young Prince. The silhouette is housed in a period ebonised frame with a decorative floral border. 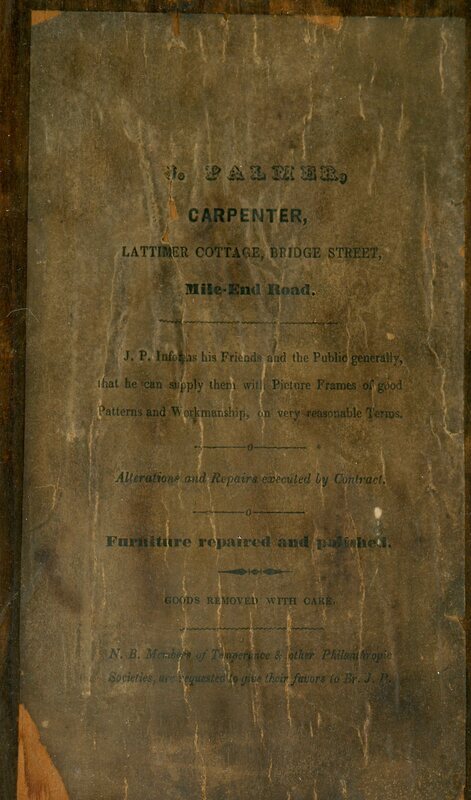 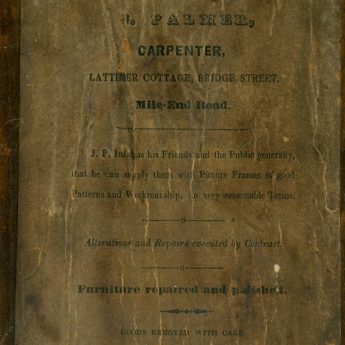 The backing board bears an interesting trade label for J. Palmer, Carpenter of Lattimer Cottage, Mile-End Road.